I wanted to thank you for being SO wonderful to me when I was having all of my work done. I can't begin to tell you how I was completely panicked to having to deal with my dental care. My mouth is terrible and I have had SO many issues that you would think I would be easy but it actually gets worse each time. You two were so caring and delightful to me and I appreciate you so much! Thank you for your patience and level of care! Thank you! Thank you! Thank you! I am so grateful! 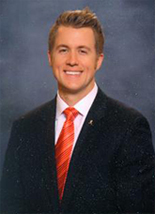 Originally from Wichita, Dr. Koepsel attended the University of Kansas where he graduated with honors while majoring in Business and Biochemistry. He also participated in the KU Men’s Track and Field team where he earned Academic All-Big XII honors. Following his dream of becoming a dentist, Dr. Koepsel graduated from the University of Missouri-Kansas City School of Dentistry, and continued his education with completion of a highly selective dental residency at Truman Medical Center in Kansas City, Missouri where he received advanced training in all areas of dentistry. He has participated in hundreds of hours of continuing education programs, and continues to attend these classes in order to stay on the cutting edge of dentistry ensuring that he will always provide his patients with the best care available. He has completed courses in sedation, surgical implant technology, cosmetic dentistry, and root canal therapy in addition to many other topics. 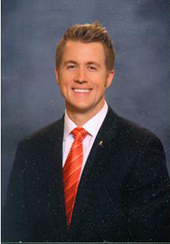 Along with his constant growth as a practitioner, he is also a member of the American Dental Association, Kansas Dental Association, as well as the Wichita District Dental Society. When not in the office, you can find Dr. Koepsel somewhere in the great outdoors with his Yellow Labrador named Ranger. Whether it is fly-fishing or elk hunting in the Rocky Mountains, upland bird hunting the fields of Kansas, or targeting walleye in the reservoirs and rivers, Dr. Koepsel enjoys the fresh air and peace of mind that only nature can provide. He is an avid believer in conservation and habitat preservation and donates his time and efforts to Pheasants Forever Habitat Organization and the Rocky Mountain Elk Foundation.